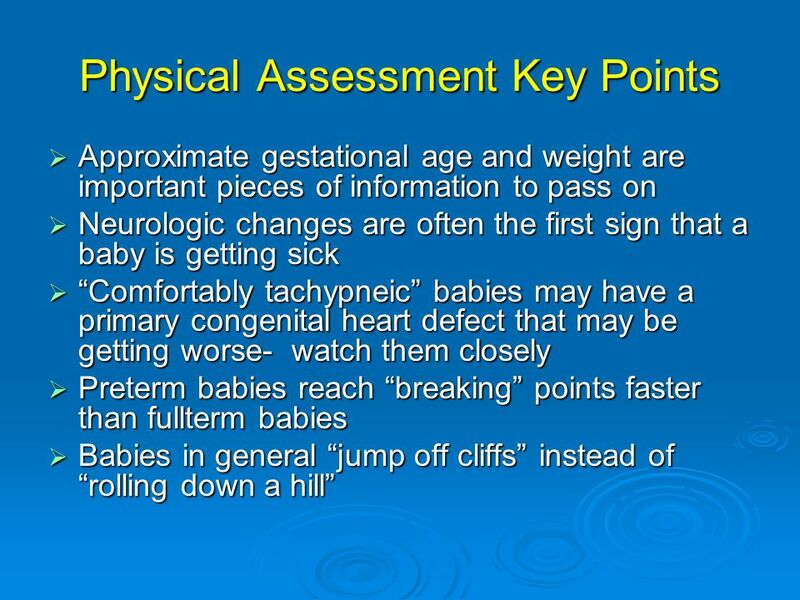 Physical Assessment and Newborn Stabilization: What You Can Do! 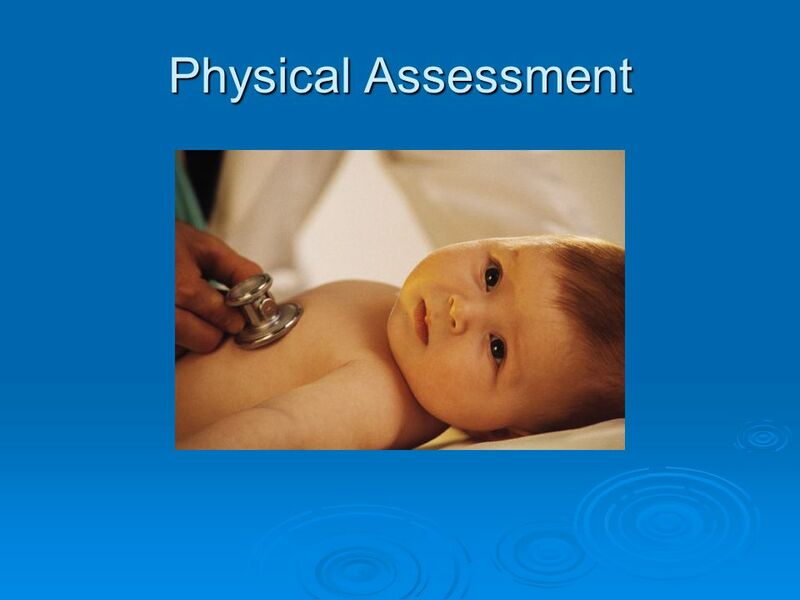 1 Physical Assessment and Newborn Stabilization: What You Can Do! 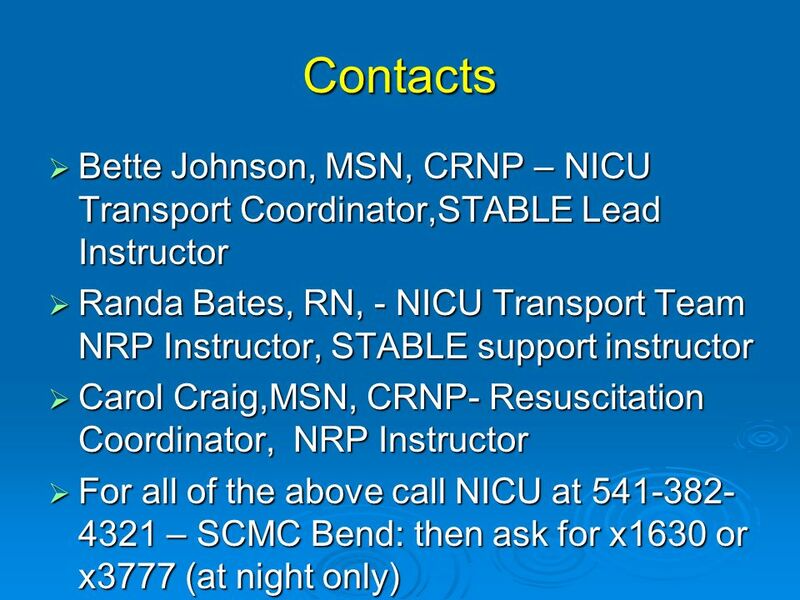 2 Questions to Consider How many staff have taken Neonatal Resuscitation(NRP)? 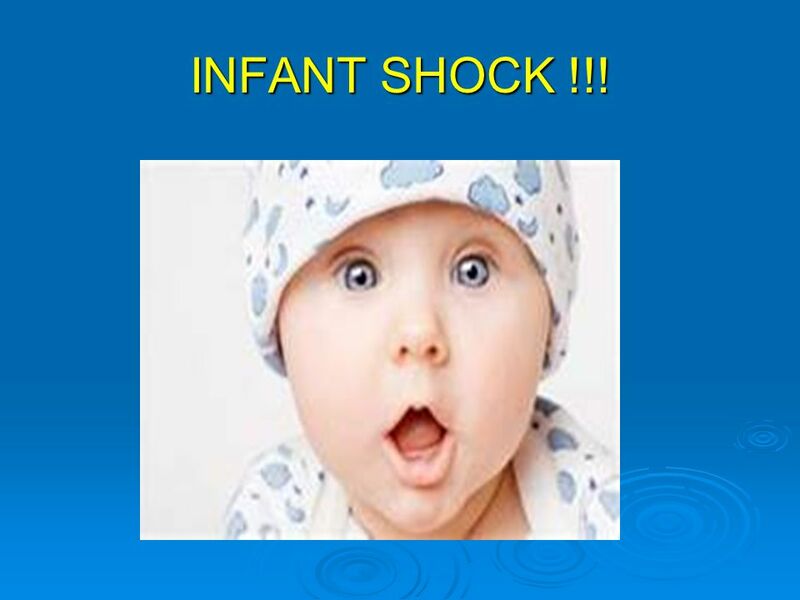 Do you have a infant appropriate bags? 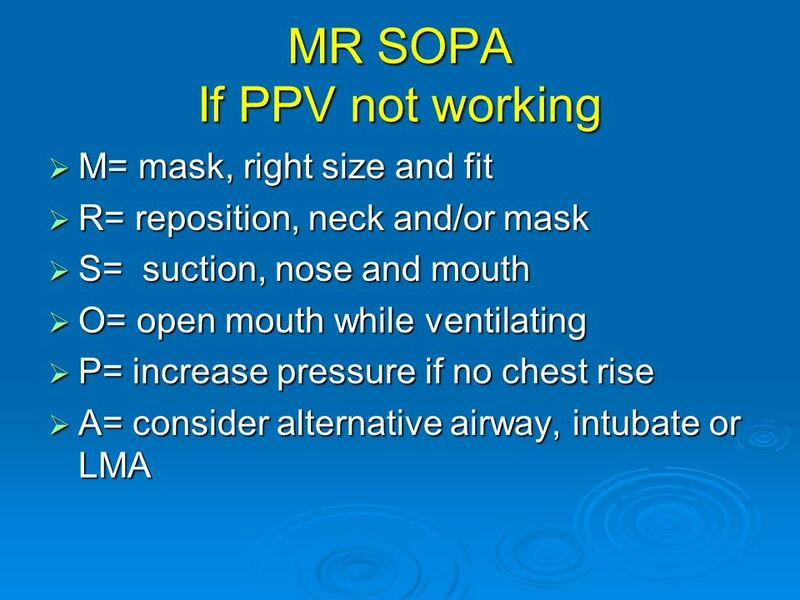 Appropriate sized masks? 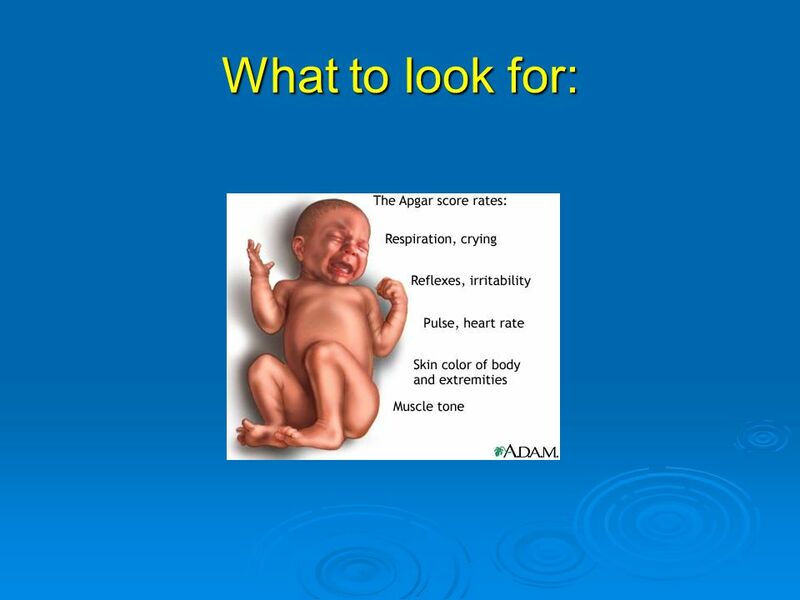 Sat Probes? 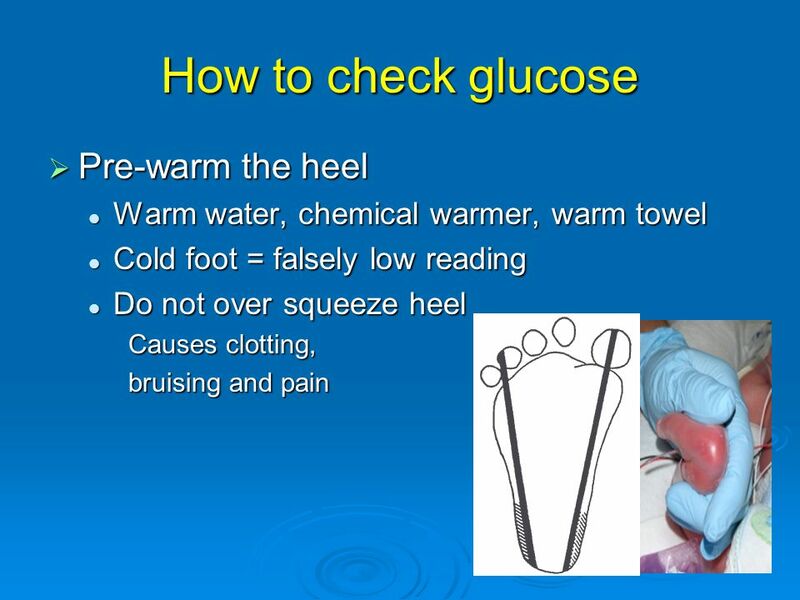 Glucometer, or sticks? 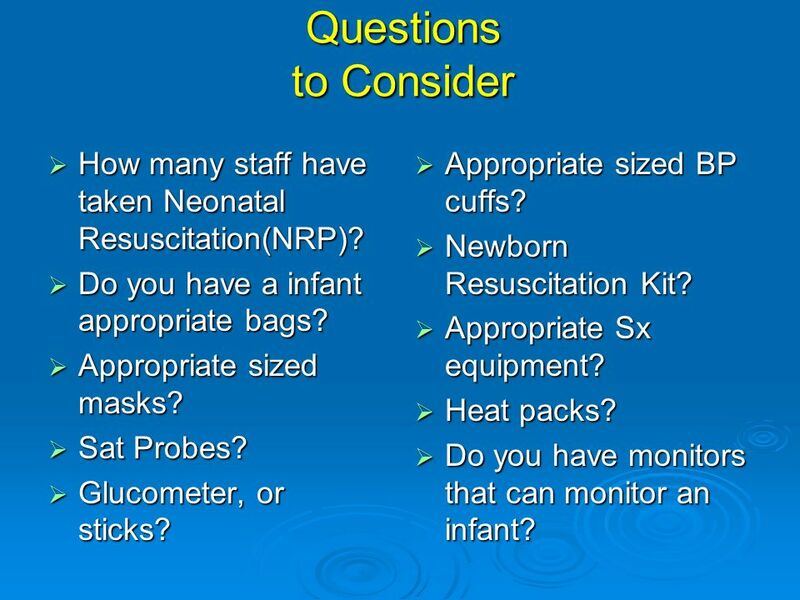 Appropriate sized BP cuffs? 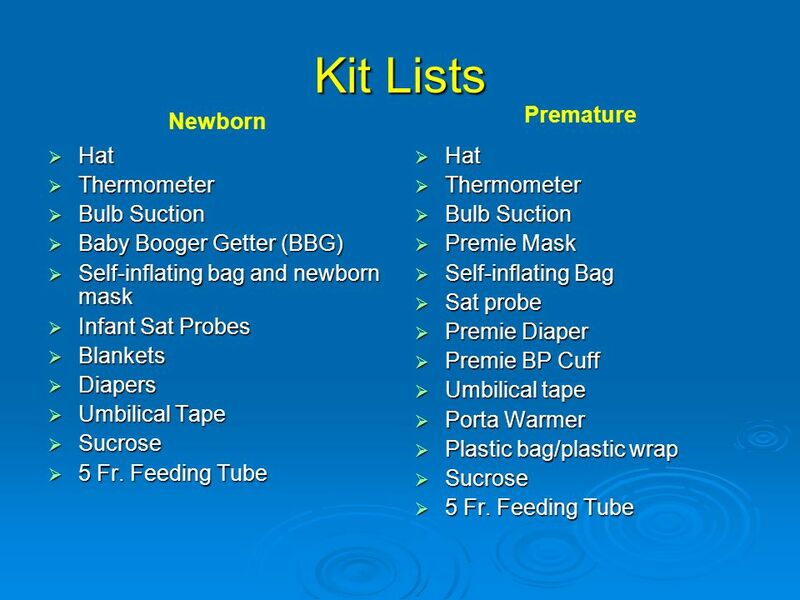 Newborn Resuscitation Kit? 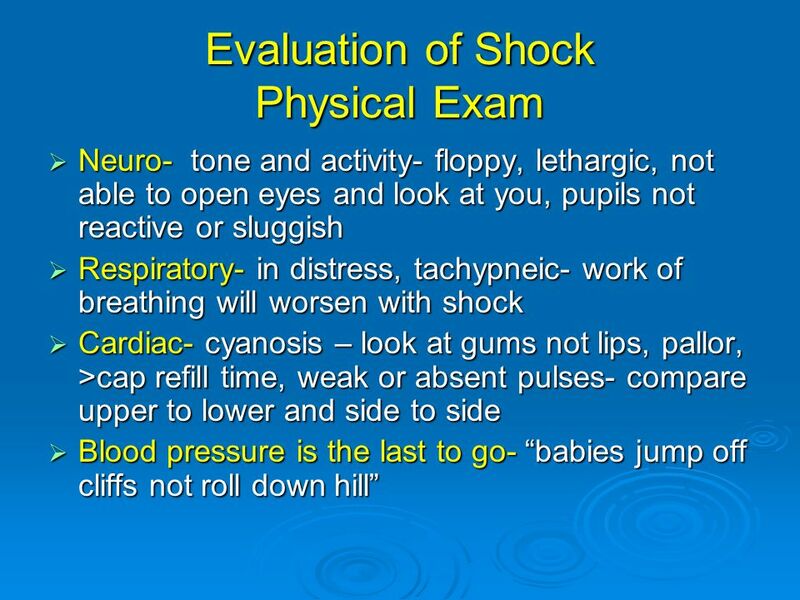 Appropriate Sx equipment? 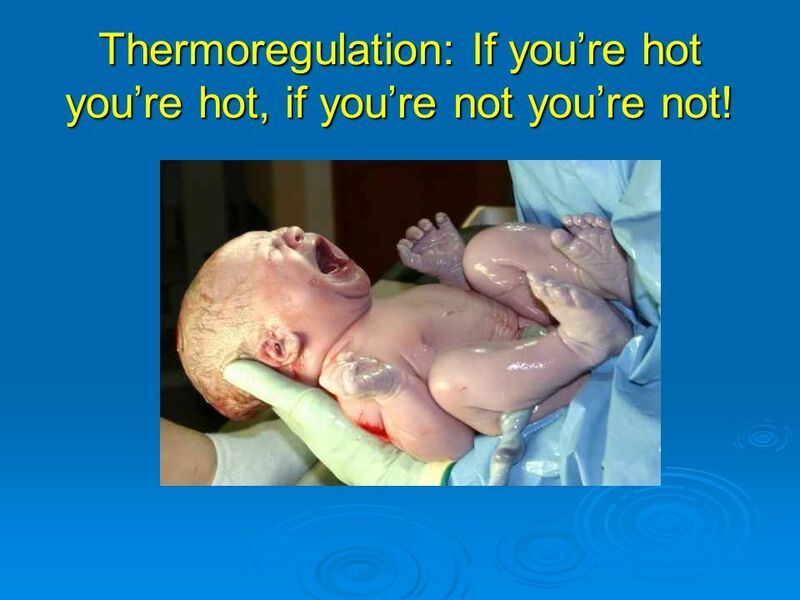 Heat packs? 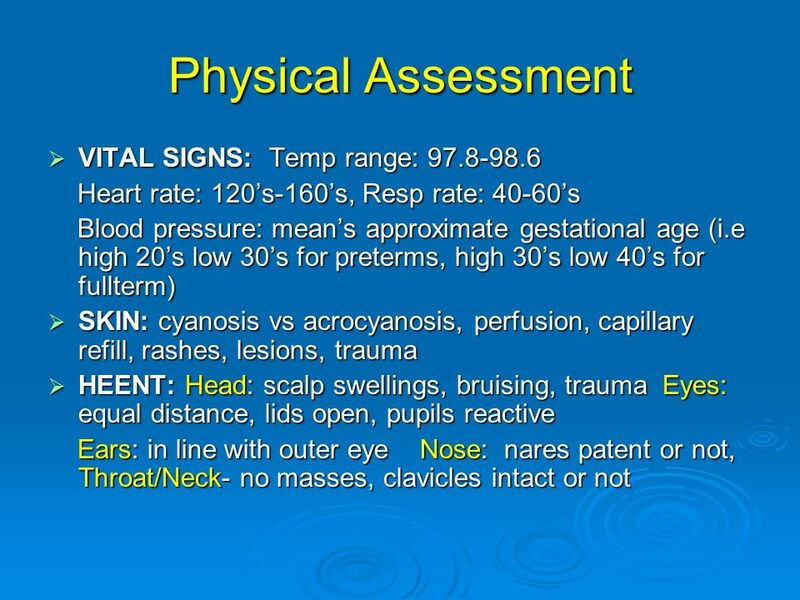 Do you have monitors that can monitor an infant? 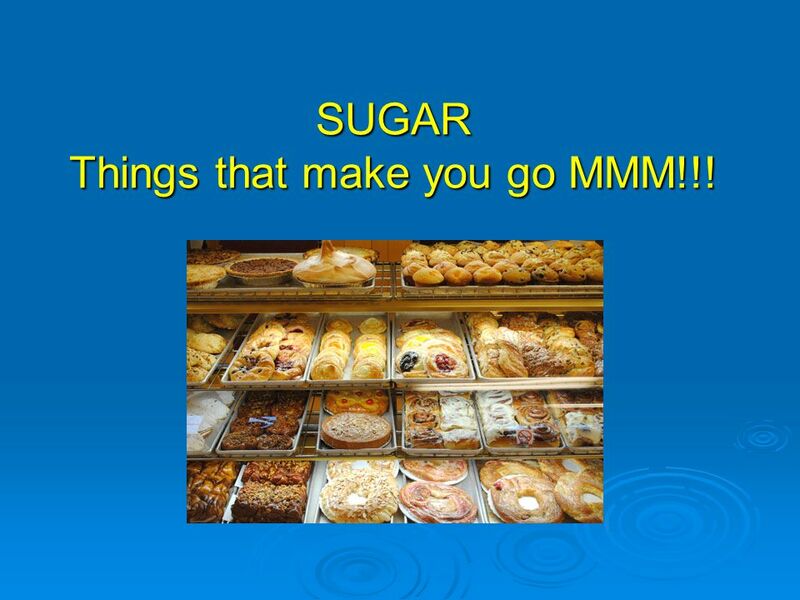 20 SUGAR Things that make you go MMM!!! 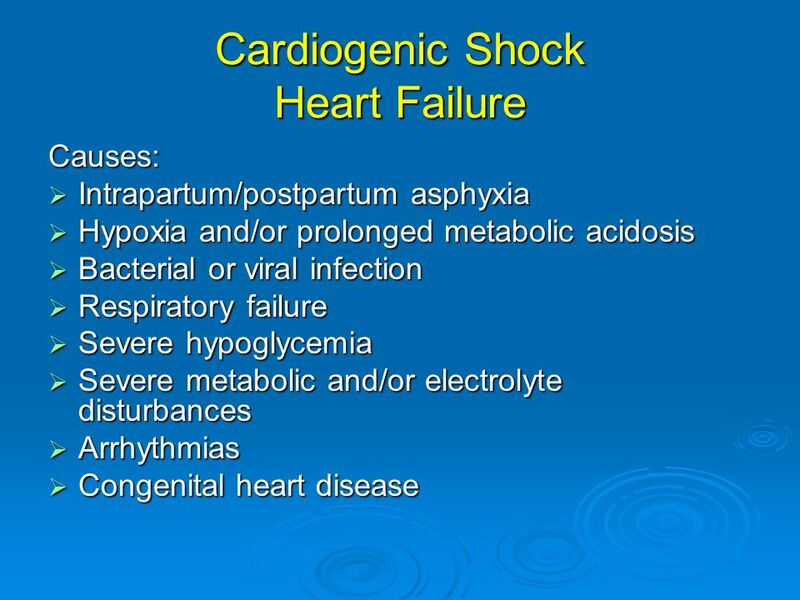 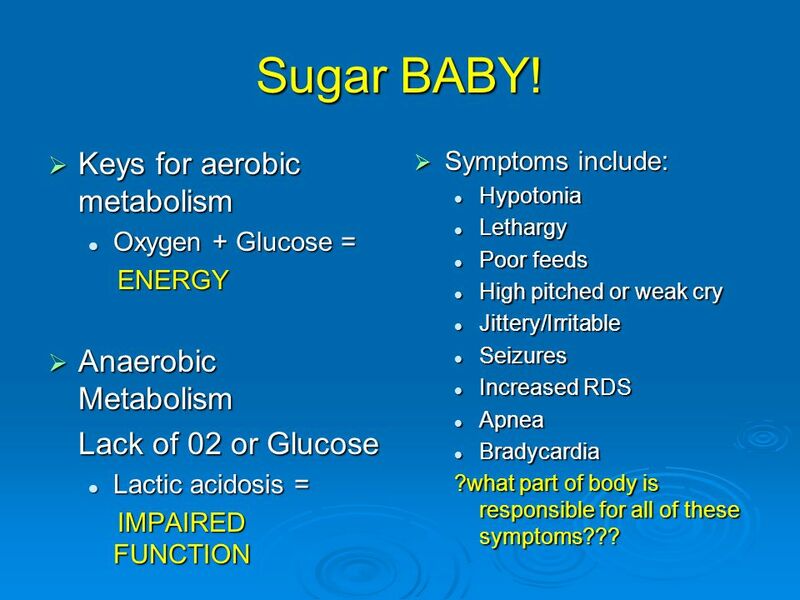 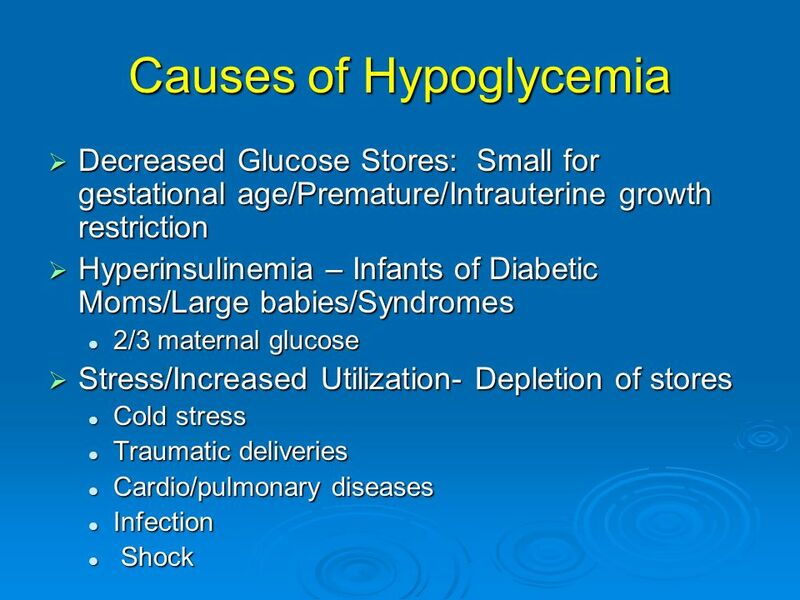 Oxygen + Glucose = ENERGY Anaerobic Metabolism Lack of 02 or Glucose Lactic acidosis = IMPAIRED FUNCTION Symptoms include: Hypotonia Lethargy Poor feeds High pitched or weak cry Jittery/Irritable Seizures Increased RDS Apnea Bradycardia ?what part of body is responsible for all of these symptoms??? 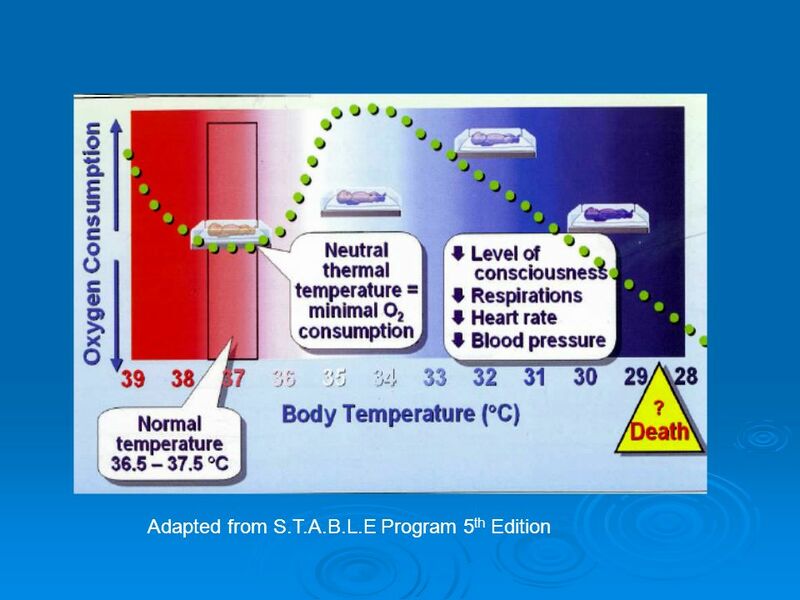 27 Thermoregulation: If you’re hot you’re hot, if you’re not you’re not! 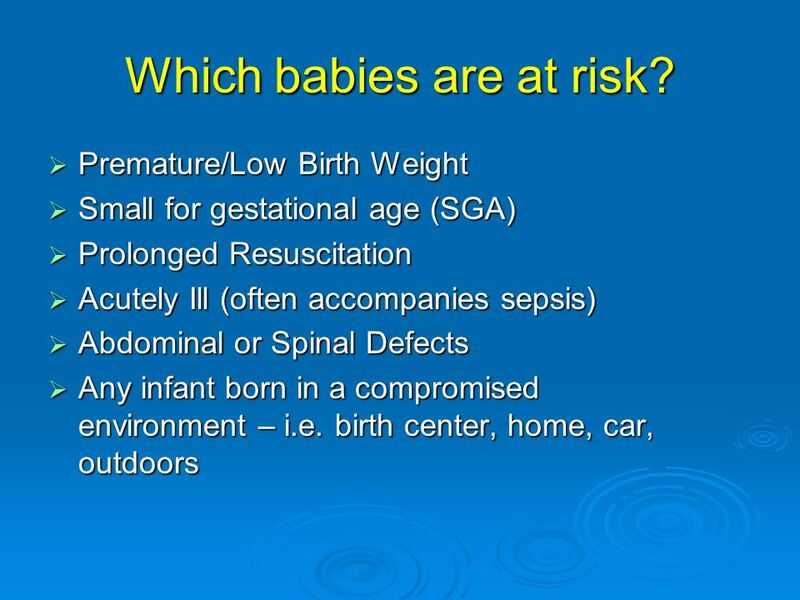 29 Which babies are at risk? 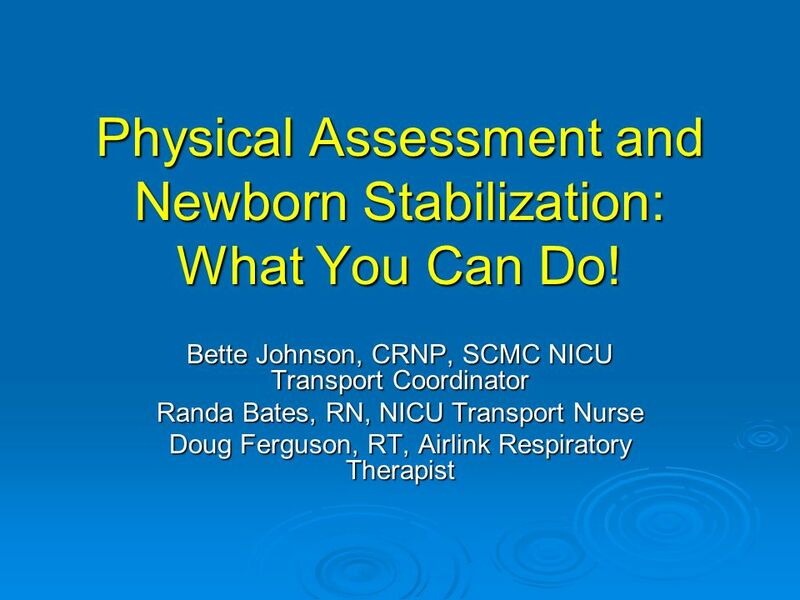 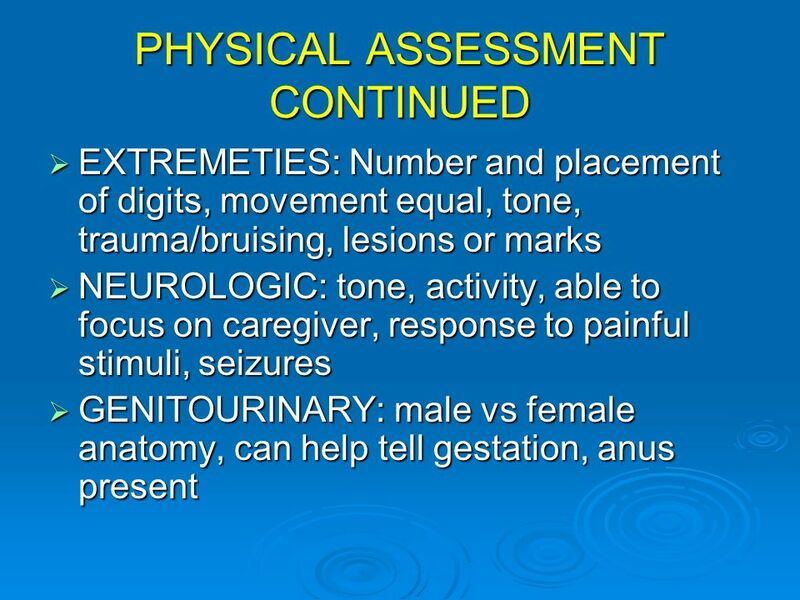 Download ppt "Physical Assessment and Newborn Stabilization: What You Can Do!" 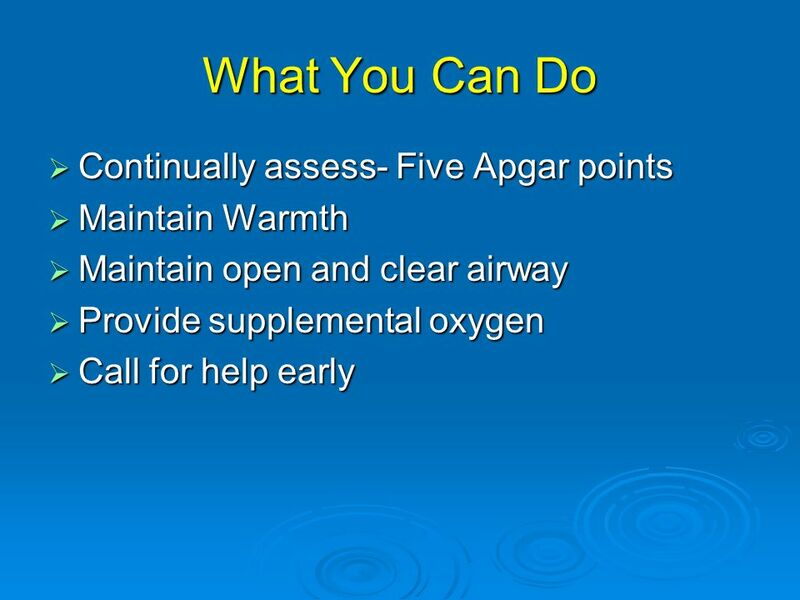 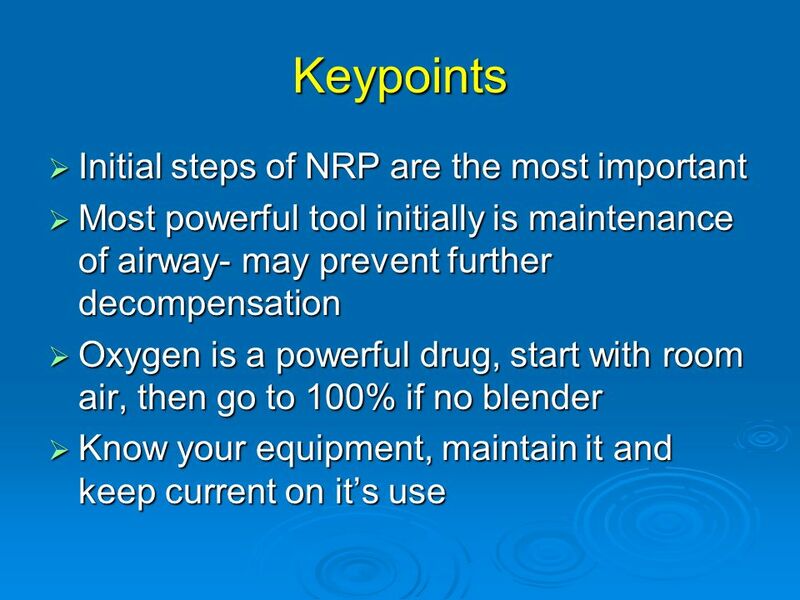 March 5, 2007Manitoba NRP Advisory Group Use of Oxygen during Resuscitation of Neonates John Baier. 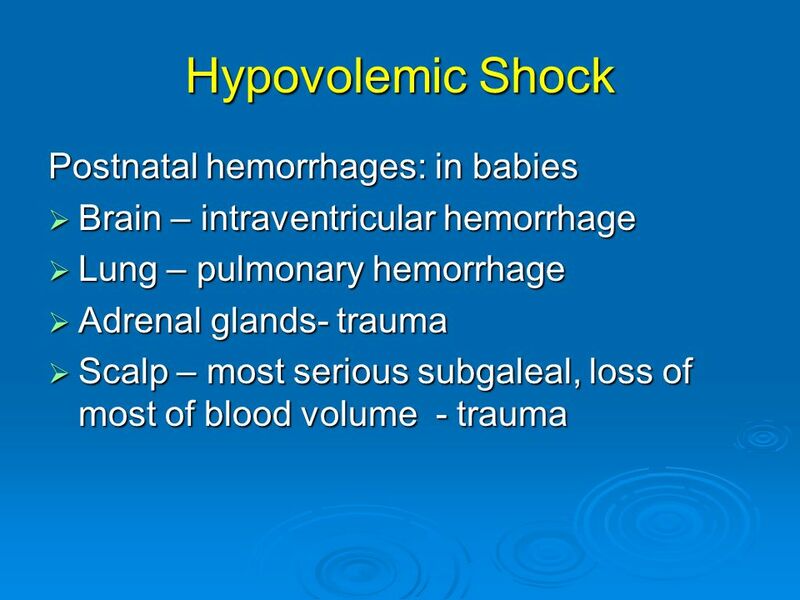 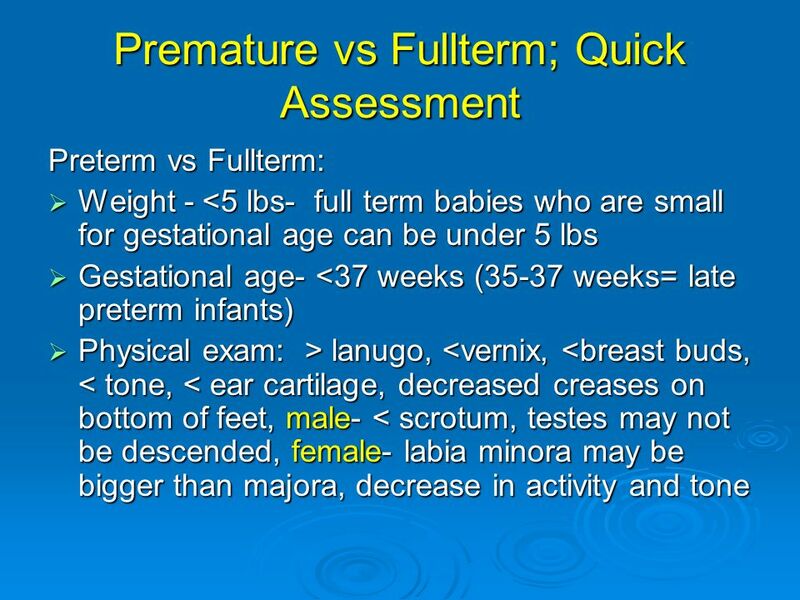 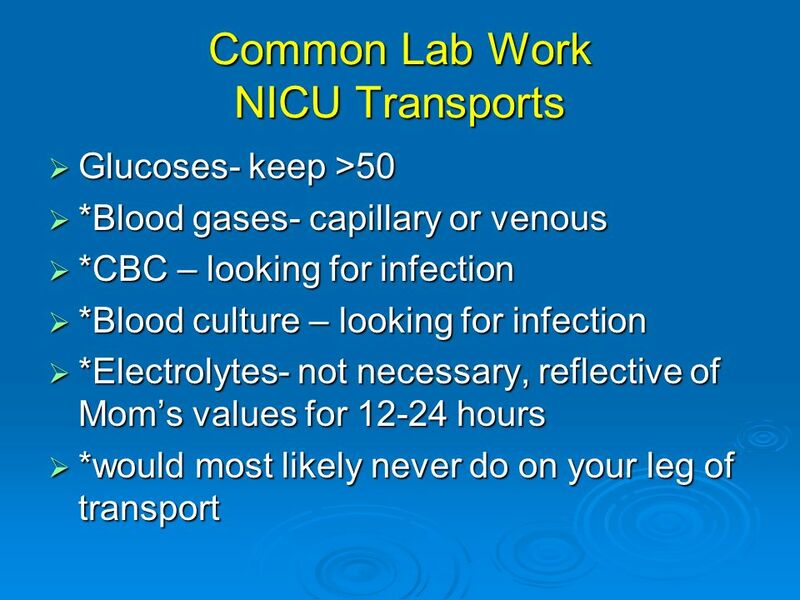 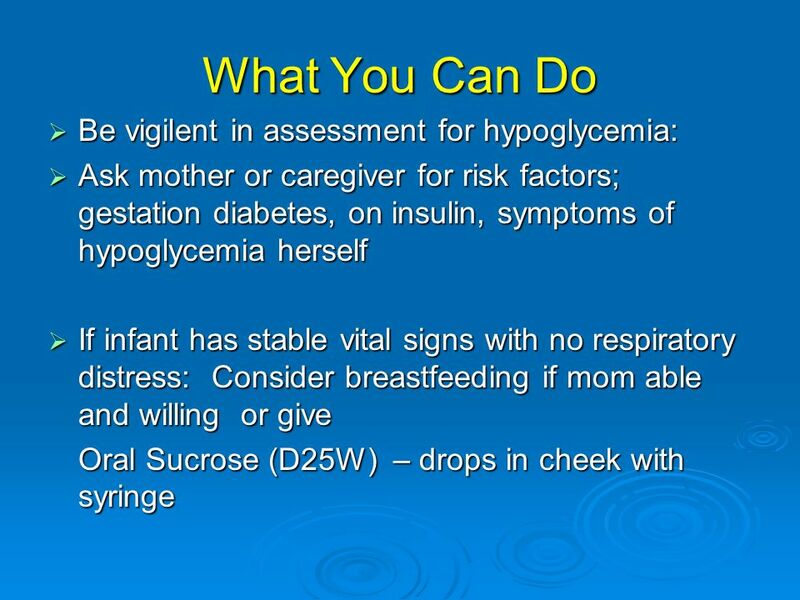 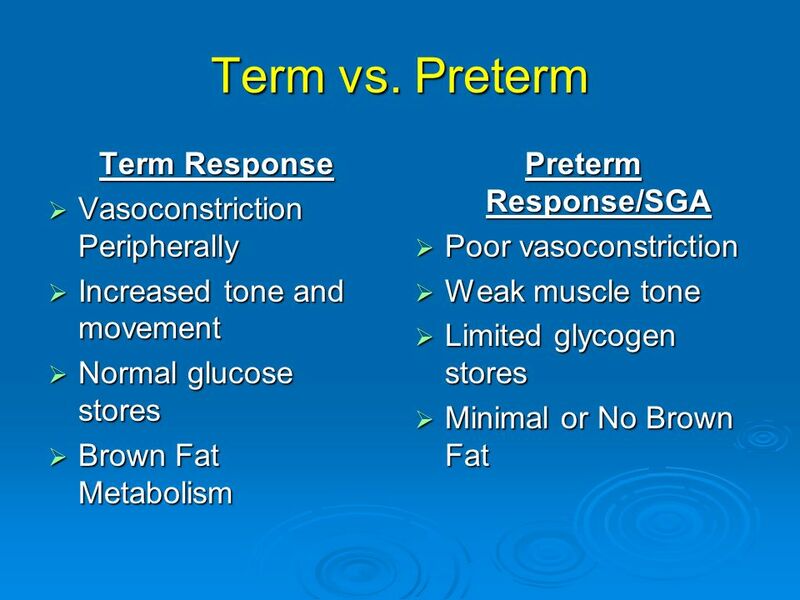 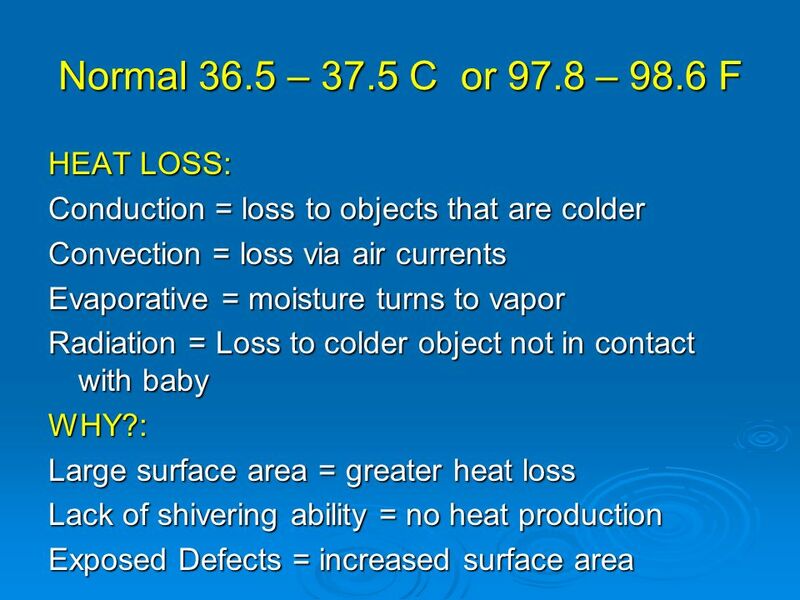 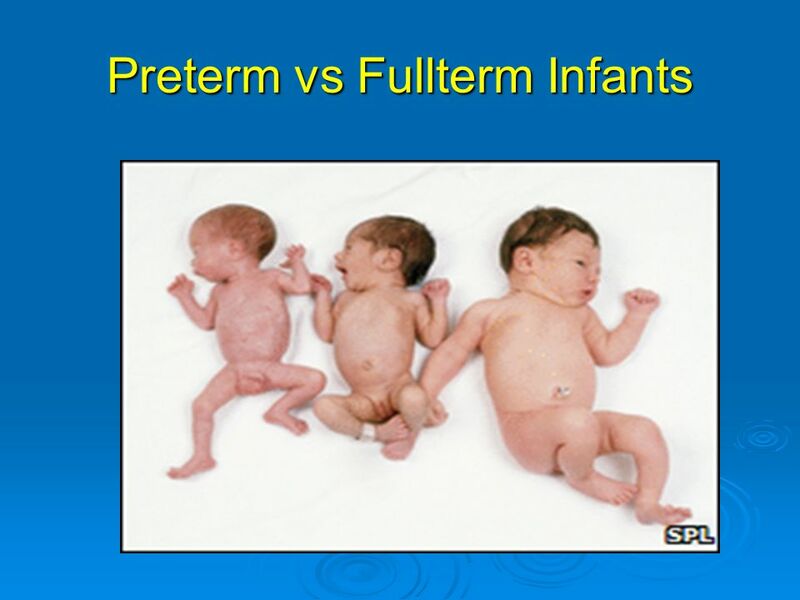 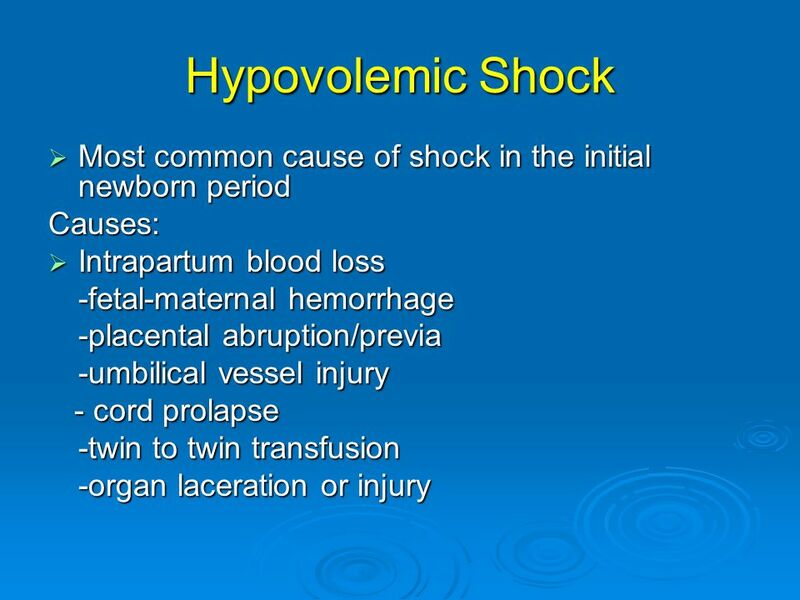 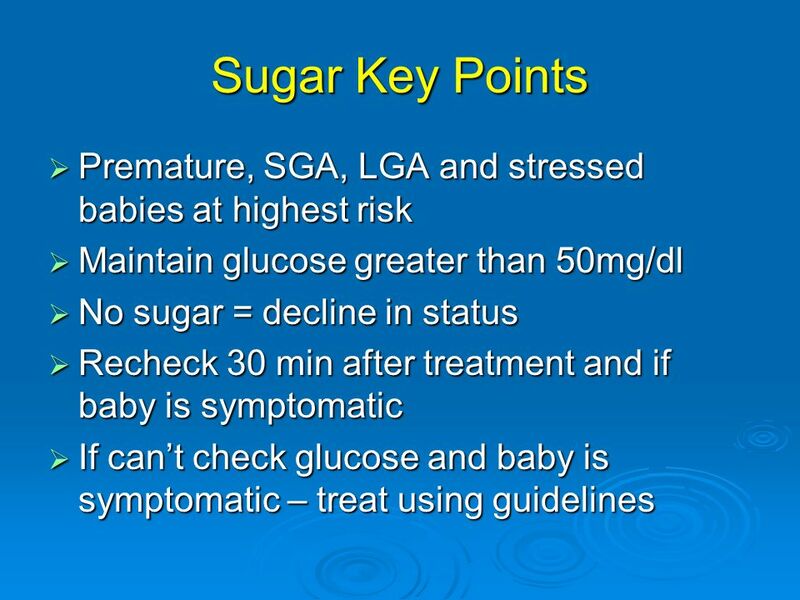 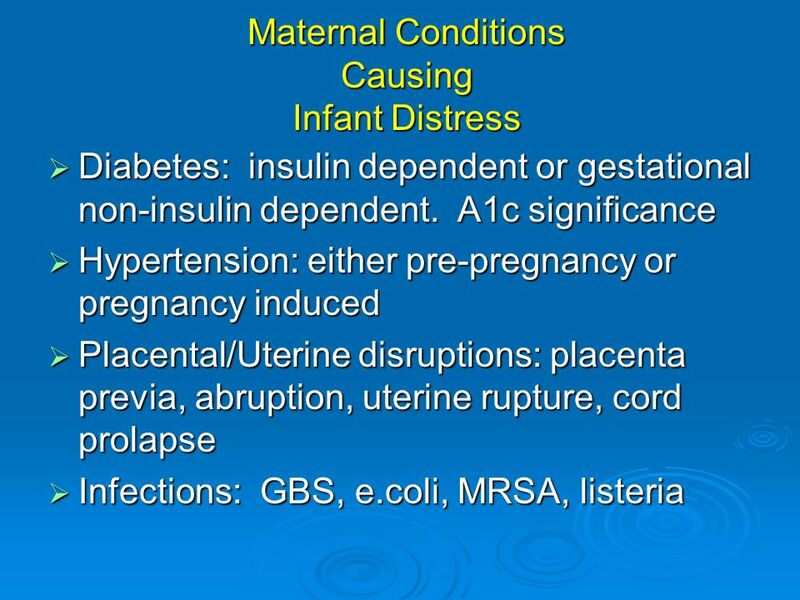 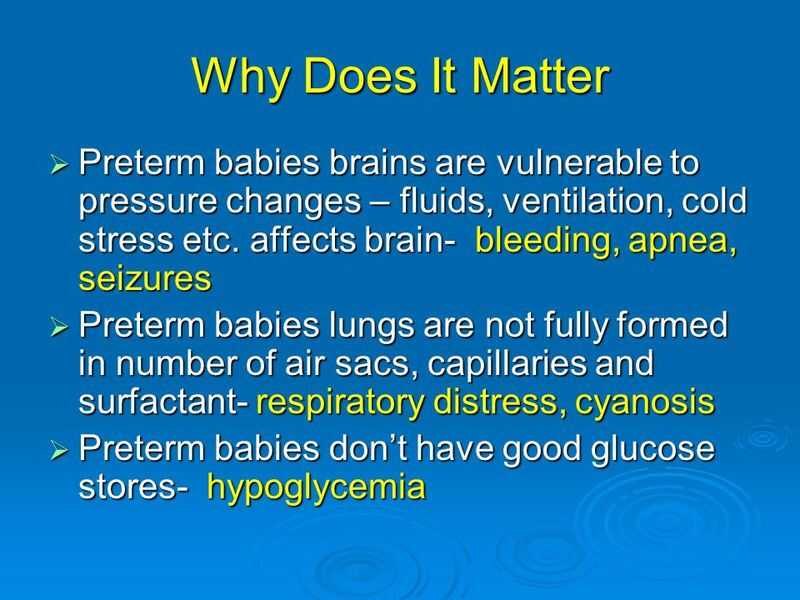 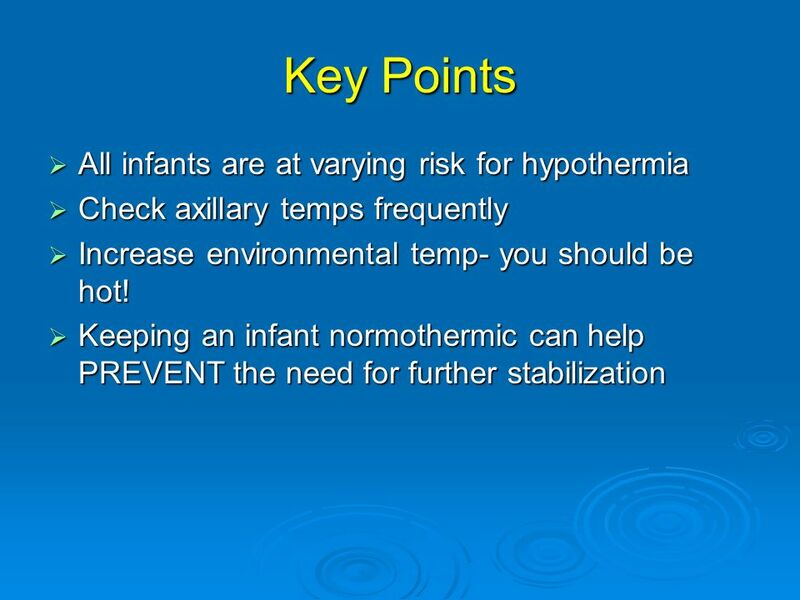 LMCC Review Course: “Neonatology” Gregory Moore, MD, FRCPC Division of Neonatology April 2010. 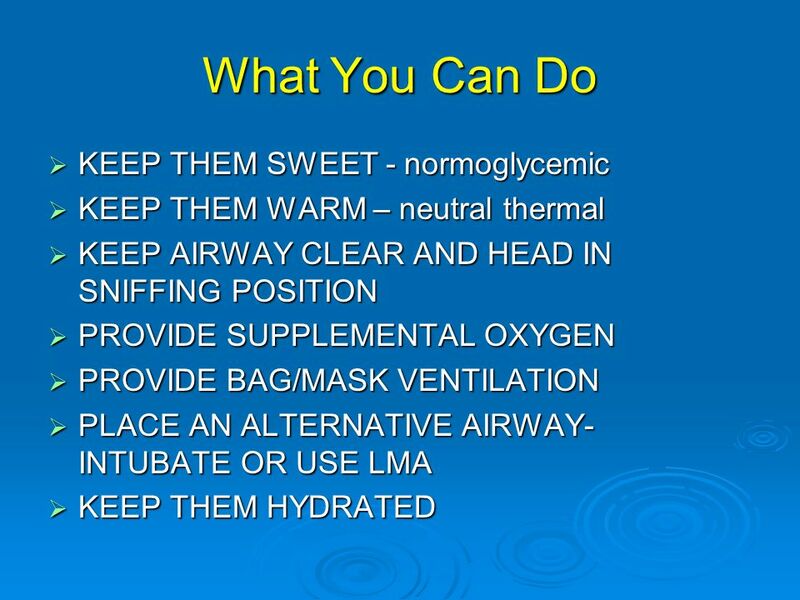 ENDOTRACHEAL INTUBATION. 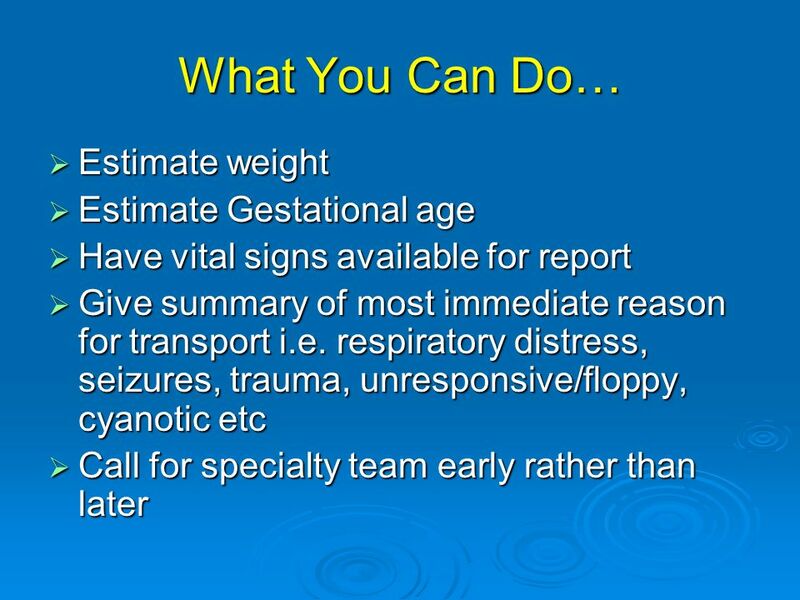 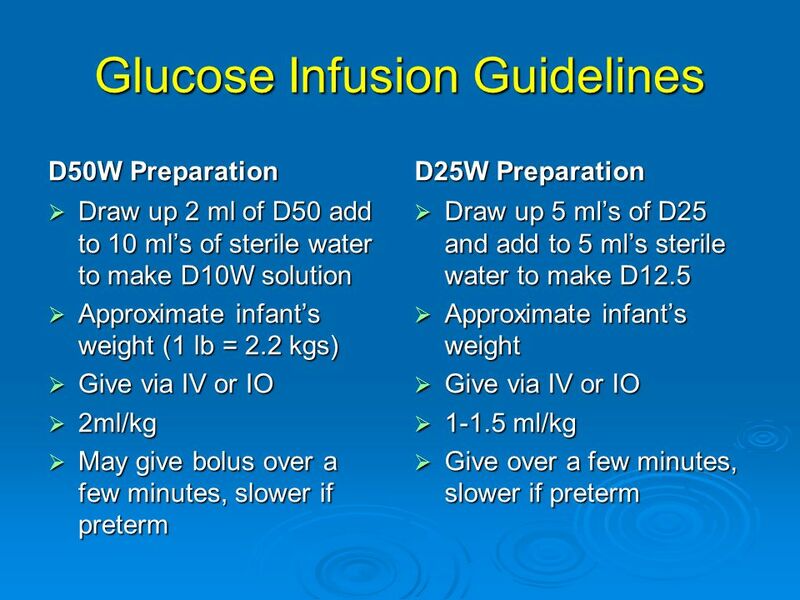 NEONATAL FLOW ALGORITHM BIRTHBIRTH Term gestation? 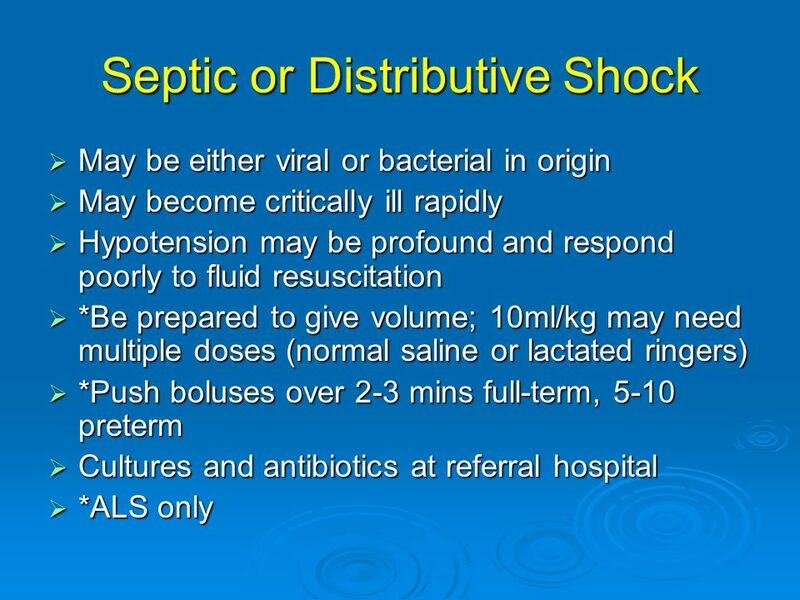 Amnlotic fluid clear? 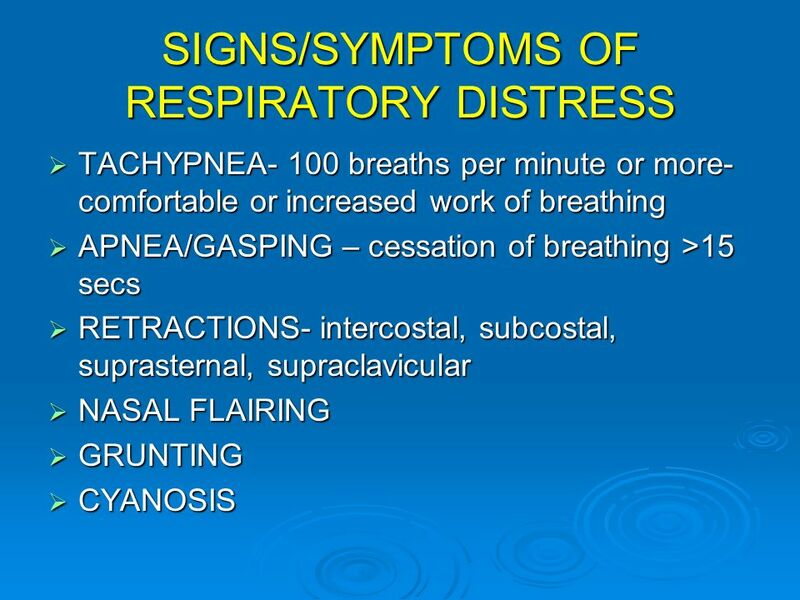 Breathing or crying? 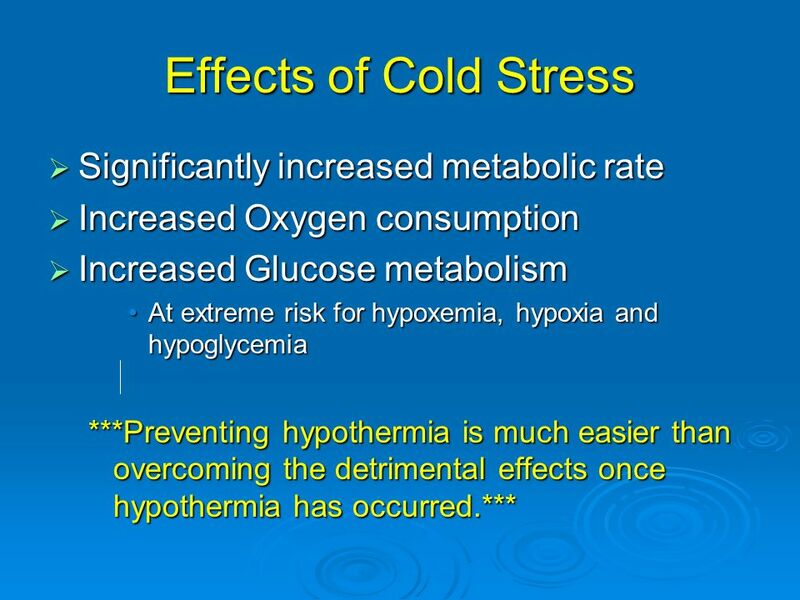 Good muscle tone?u Provide warmth. 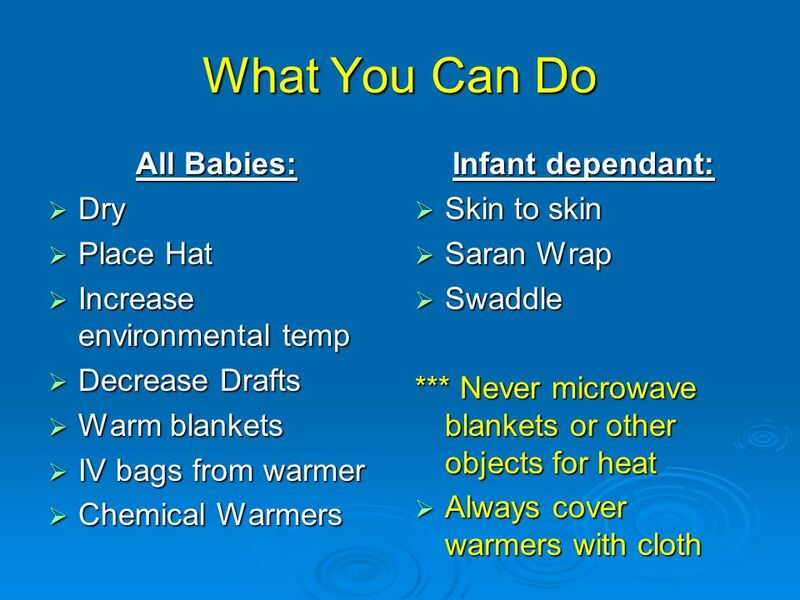 Care of the very sick child Morris Earle, Jr. MD, MPH UMASS Memorial Medical School Worcester, MA and Sarah A. Murphy, MD MassGeneral Hospital for Children. 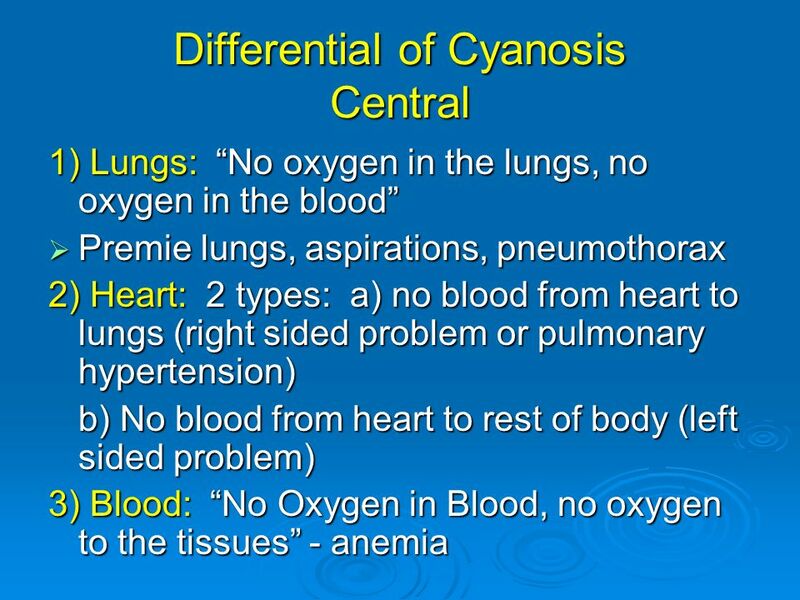 Oxygenation By Diana Blum MSN NURS Oxygen is clear odorless gas 3 components for respiration Breathing Gas exchange Transportation Structures Upper. 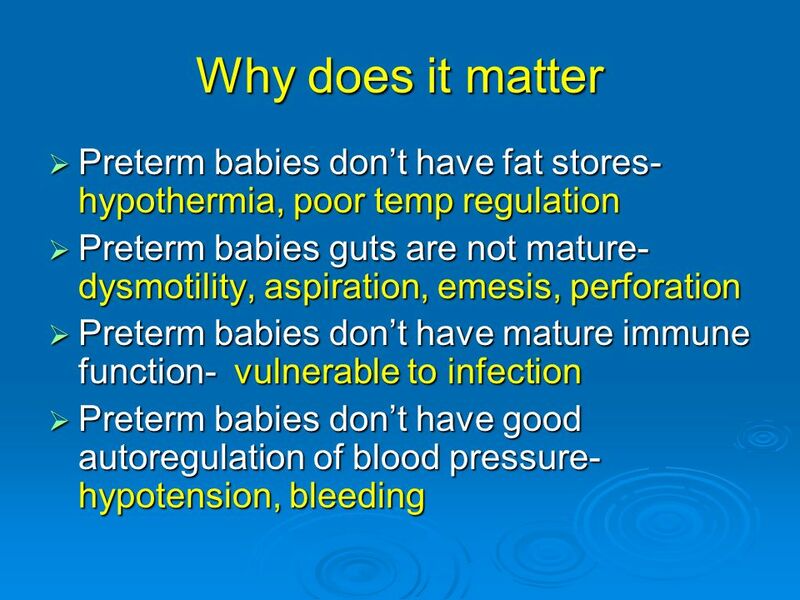 Newborn care and resuscitation June 24, 2014 Michael Kim, MD Newborn care and resuscitation 2014 Emergency Care Trauma Symposium June 24, 2014 Michael. 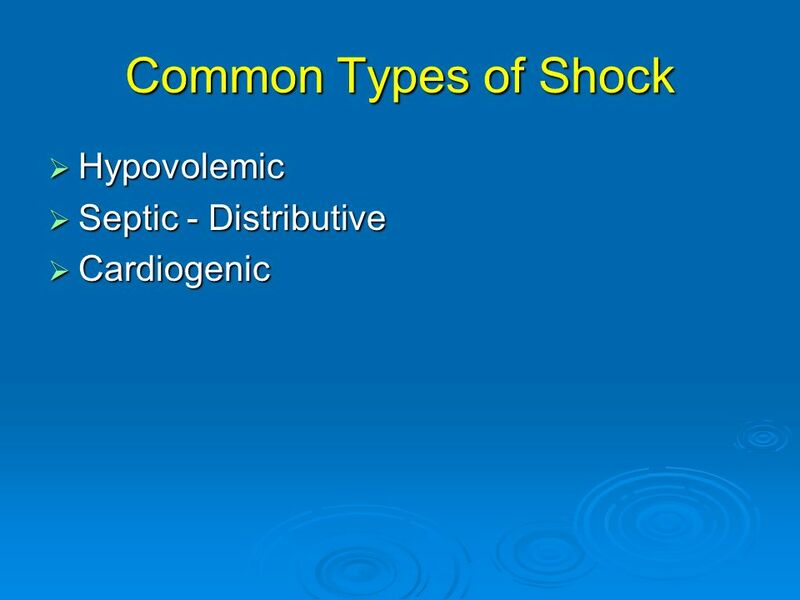 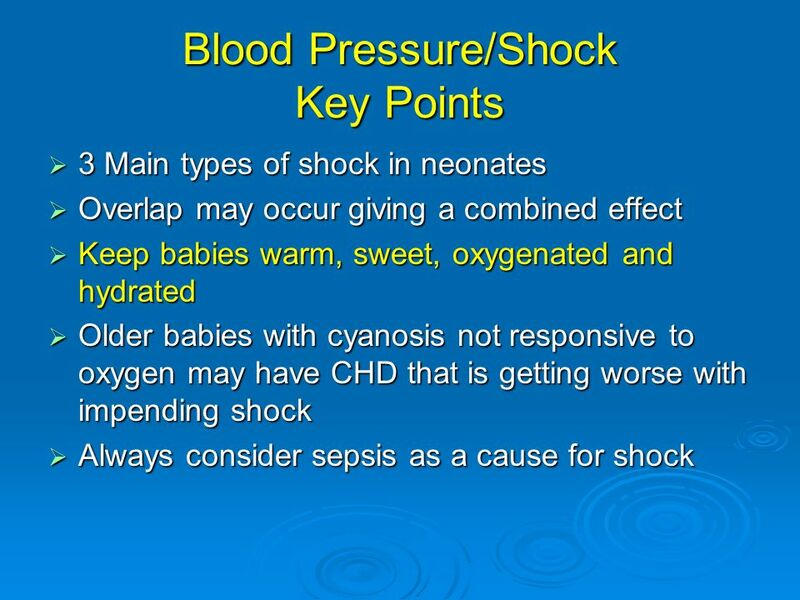 Chapter 6 Fever Case I.
Neonatal Resuscitation -BLS- RC 290. 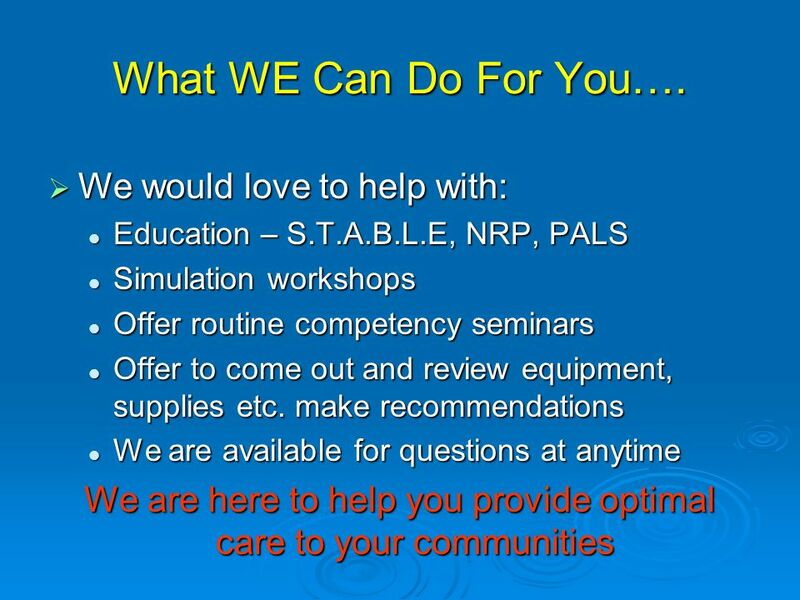 Equipment Needed Overhead radiant warmer Bulb syringe BVM with heated & humidified O2 De Lee suction device Size. 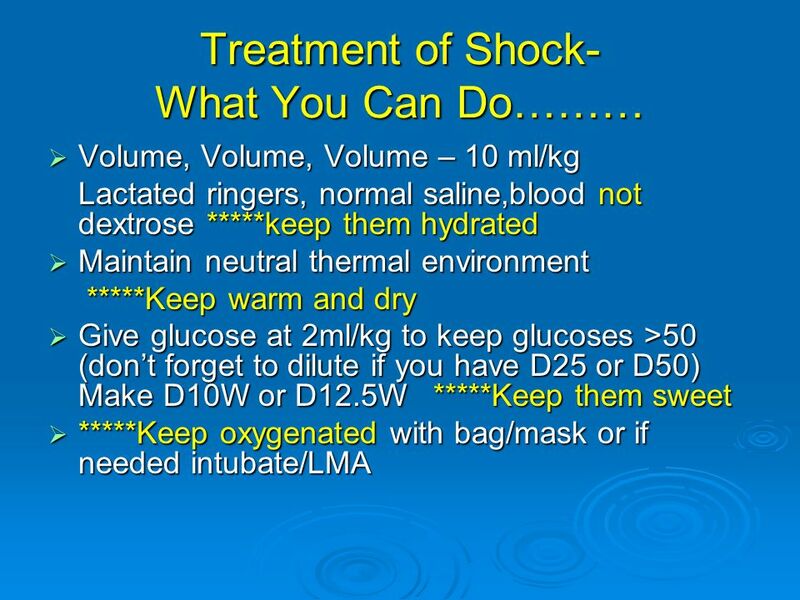 By Dr. Ahmed Mostafa Assist. 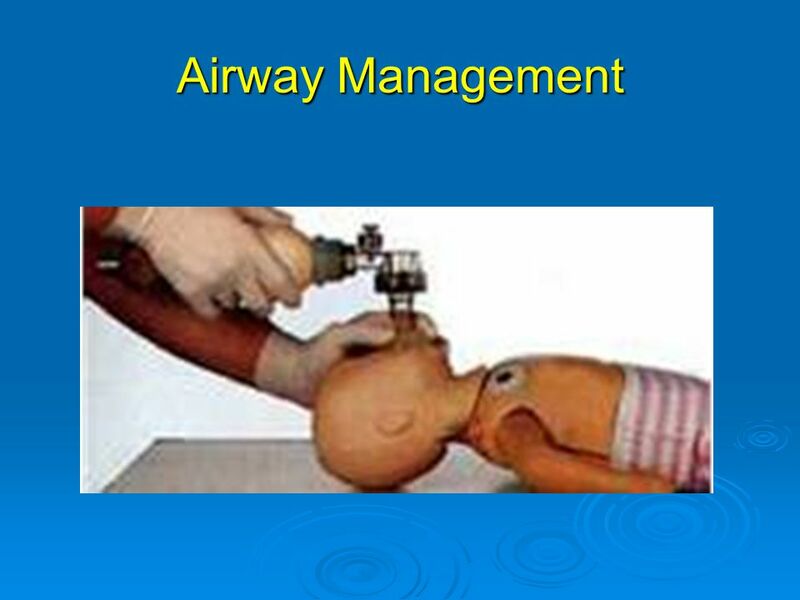 Prof. of anesthesia & I.C.U. 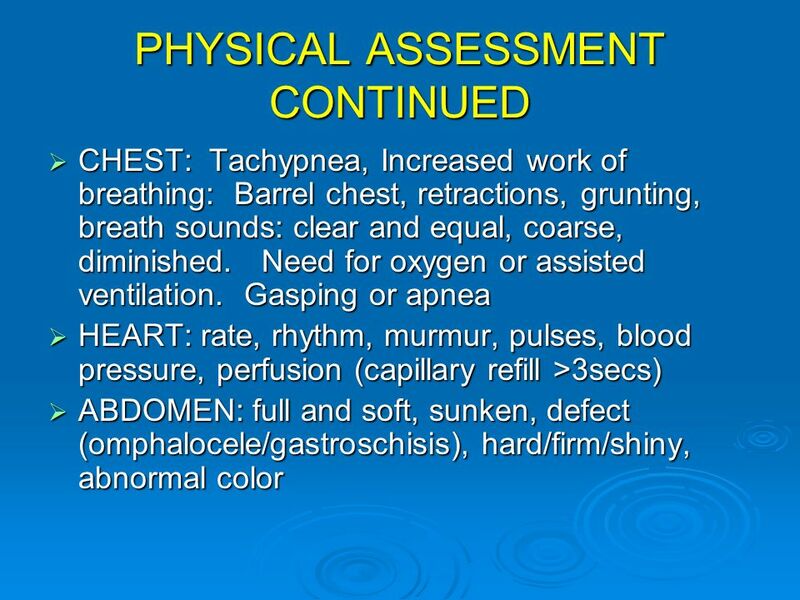 Benha faculty of medicine. 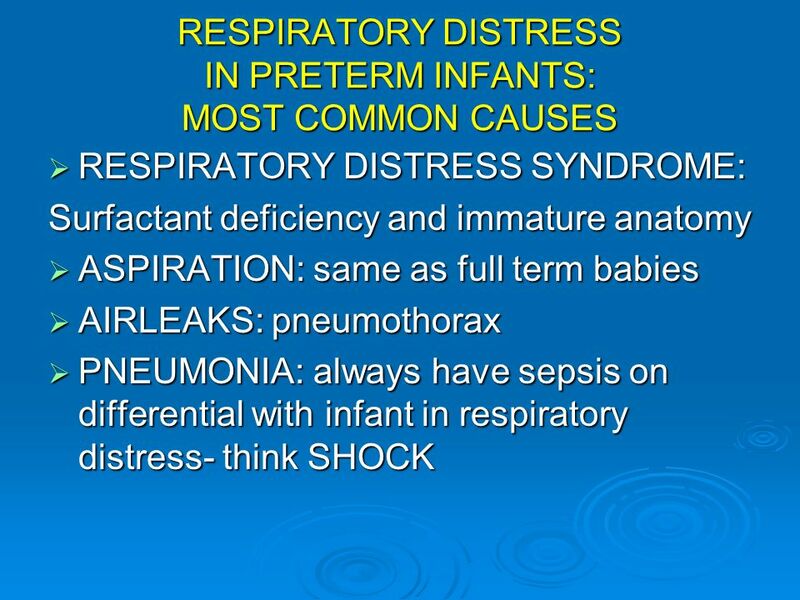 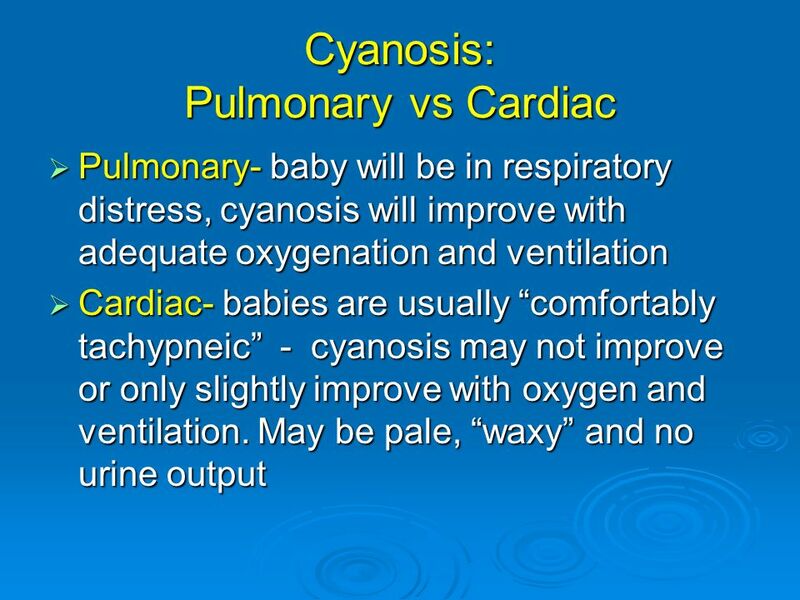 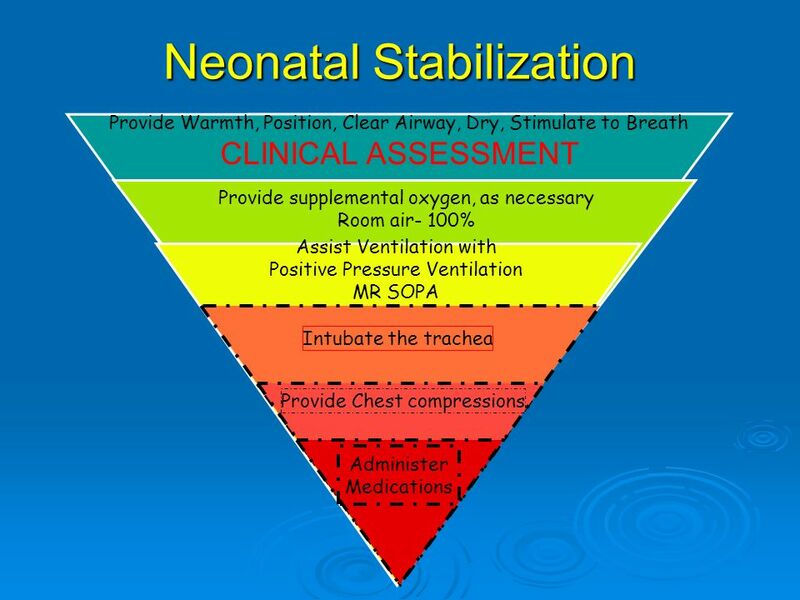 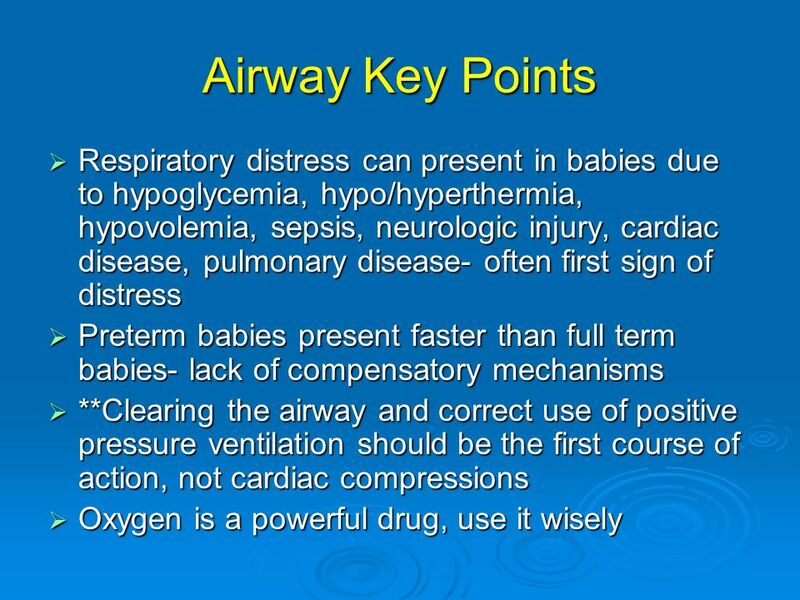 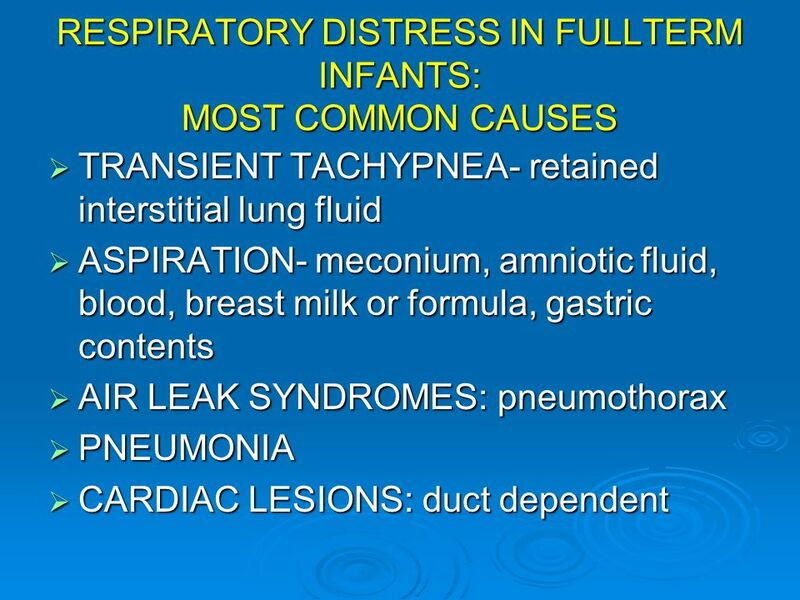 Chapter3 Problems of the neonate and young infant - Neonatal resuscitation. 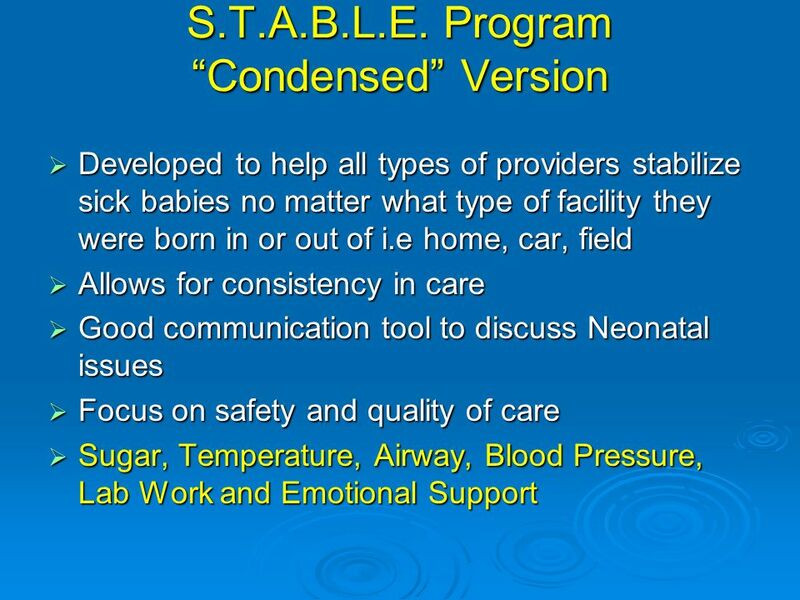 Doug Simkiss Associate Professor of Child Health Warwick Medical School Management of sick neonates. 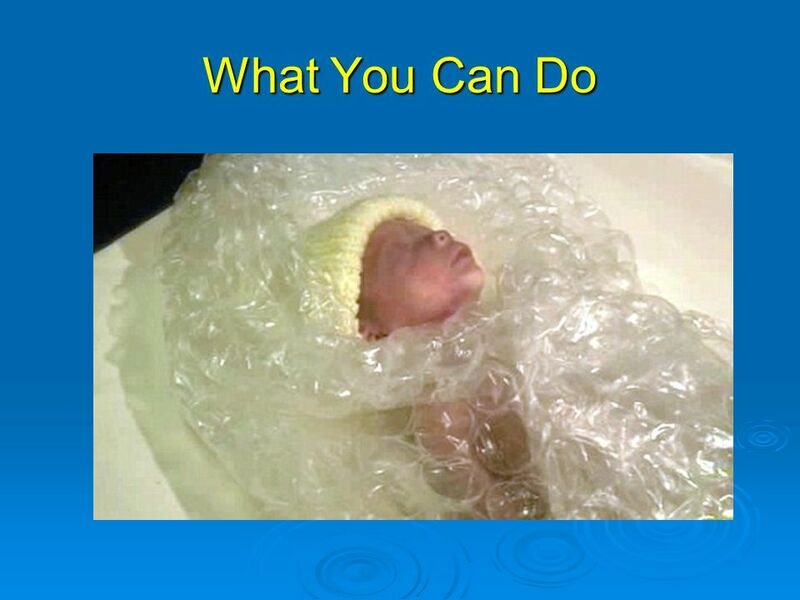 Case Presentation: BLS to ALS Handoff 21 year old male Unrestrained driver, single vehicle MVC 20mph; sedan vs. concrete barrier No airbag Starred windshield.